R.I.P The Tree Killer... (A.K.A) Star Boss. But you have been replaced by a new one. Damn River!!! 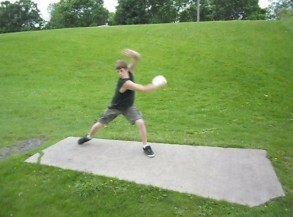 nice ace ben...what did you throw for that hole? Hey Ben! The Singles Handicap Sunday League in Northwood starts the first Sunday in June!!!!!!!! Be there!!! !